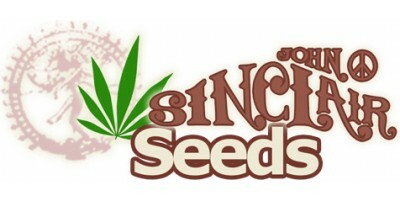 John Sinclair Seeds are selection of connoisseur cannabis seeds which honour quality with robust genetics, and continue to push forward the march towards worldwide cannabis liberation. With over 50 years of cannabis activism and cannabis consumption, renegade poet-activist and once manager of the MC5, John Sinclair has evolved a skilful taste for the highest quality buds. In cooperation with Ceres Seeds John Sinclair has developed four stable F1 varieties, each capturing the essence of a connoisseur’s choice, made available for you to grow and experience. The six favourites of John Sinclair are all handpicked and diligently selected: Trans-Love Energies (sativa), Viper (indica), Amsterdam (skunk) White Panther (indica x sativa) Zenta (sativa x indica) and MCM (indica). Skunk is the original hybrid – the first ever stable crossing of an Indica and a Sativa. Today skunk is often used to refer to any powerful marijuana, but only the original skunk can live up to its reputation: very smelly, and very, very strong. As a medical cannabis patient John Sinclair has always appreciated potent marijuana. Ceres Seeds’ original Cannabis Cup winner White Smurf has been renamed White Panther to honor poet, radio maker and cannabis hero John Sinclair who co-founded the legendary White Panther party in 1968. John Sinclair has made incalculable contributions to cannabis legalization world wide. He is celebrated as an heroic icon of American counterculture and of cannabis activism in particular, since he was arrested for giving two joints to an undercover narcotics officer in 1969. He was soon after sentenced to the unusual punishment of 10 years for mere possession.